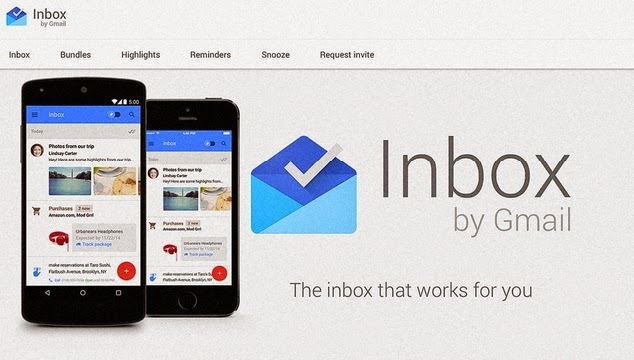 Google has announced the arrival of Inbox, a new alternative application to Gmail. It will provide a standard interface for all users, whether they are connected from a computer or compatible mobile support. Beyond access to emails, the new Google app is as a personal assistant. It is already available for testing. Sundar Pichai, head of Android and Chrome OS at Google said "After years of development, Inbox is offered by Gmail designers. But it's not Gmail: it's a whole new kind of mailbox, designed to turn to what is really important. " New app provides a simple interface with the drop down tabs to categorize messages according to their subject or their receipt menu. Promotional messages and advertising example can be directly aside. Google raises the possibility of creating categories "bundles" for automatic sorting of all mail. Google is also focusing on services related to automatic actions: booking a hotel or a restaurant with a predefined action button. The link with other Google applications (eg Google Calendars) will also be facilitated. Features recall or tasks may be put forward. Inbox available in web version on Chrome in Android app (from version 4.1) and iOS (from version 7). The application is currently available as beta test invitation by sending an email to inbox@google.com.